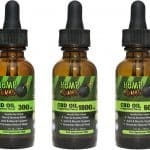 CBD Oil Review rates Hemp Bombs with four stars because it qualifies for the Quality, Safety, Charity & Innovation Badges. 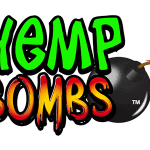 Hemp Bombs is an international brand with a wide product variety and a fun feel. 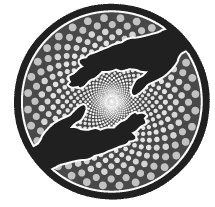 Their website is highly educational, and they go the extra mile to inform consumers about the nuances of a CBD health regimen. Non-GMO industrial hemp from Europe is hand-picked for processing here in the U.S. under their plant-to-product business model aimed at stringent quality control. While Hemp Bombs uses CBD isolate and does not feature any full spectrum products, they exhibit a quality standard and high level of transparency. Save 15% of all Hemp Bombs products! Hemp Bombs sources their CBD from non-GMO industrial hemp grown on environmentally-friendly and sustainable European farmland. Plants are then chosen by hand and shipped to the U.S. for formulation and processing. The company works with nutritionists to figure out the best synergistic combinations of herbal botanicals to infuse with the CBD isolate. It’s important to note that Hemp Bombs uses CBD isolate in all their products and does not feature full spectrum options. While CBD is obviously amazing, it is ideal to see companies provide full spectrum products in order to offer customers the amazing ‘entourage effect’ of ALL hemp’s cannabinoids. Another important note: Hemp Bombs admittedly cannot guarantee that their products are 100% vegan, gluten-free, non-GMO, and organic. For example, the gelatin present in their gummies most likely contains animal products. While their hemp is verified from an organic source, its other ingredients are not. But their testing results do in fact point to very clean CBD free of contaminants which is why they are awarded the Safety badge. One thing to note about Hemp Bombs is their obvious transparency. Not only are third-party lab test results available for each SKU, but as previously mentioned, they admit when they fall short of certain certifications. Another positive aspect we love to see is their promise to give back. Hemp Bombs offers a lifelong 15% discount for veterans, active duty personnel, their spouses and dependents. They feel a sense of obligation to provide CBD’s health-boosting properties to those suffering from PTSD, and that’s certainly a program COR supports. Their product line is in a word, massive. They’ve got everybody covered here with capsules, tinctures, vape e-liquid, soothing syrup, pet care, a bio-coolant topical, and even beard oil. In fact, the beard oil is what inspired us to issue Hemp Bombs the Innovation Badge. It is noteworthy that they went after a specific issue and used nutritionist-formulated botanical blends to enhance CBD’s effects to solve it. Hemp Bombs failed to receive the Mission Badge simply because it isn’t clear. The motivation seems to be to create a globally recognizable brand, which explains why they push apparel. There just needs to be a more obvious ethical underpinning to the missions behind CBD manufacturers. Bottom line: Hemp Bombs has innovative and fun products that are sourced from organic hemp. This is a transparent and energetic brand with a lot of promise. However, they often blend with ingredients that do not qualify as vegan, organic, etc. so use caution when choosing a product. Additionally, their brand is not full spectrum and contains zero THC. Hemp Bombs sources their CBD isolate from verified European producers and imports this product to the USA. Hemp Bombs employs third-party lab testing for each of its SKUs and actively publishes them on their website. Hemp Bombs offers a lifelong 15% discount for veterans, active military personnel, and their families. Hemp Bombs employs nutritionists to formulate all-natural botanical blends that complement CBD’s health benefits. Tried the 1000mg wasn’t pleased with this product. Seemed like product wasn’t as potent as the bottle claimed. Their products are horribly and ineffective. I've tried the all their oils in different strengths and even their vape items and gummies. I switched to Koi and felt results immediately even with their lowest strength. 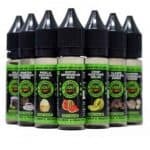 I've tried the gummies and 75mg vape juice. Didn't notice any effect from either one and used them over the course of 8 days. I love Hemp Bombs! I take the 25mg capsules every day and two before bed. When I have a really hard time getting to sleep I use the gummies. I just had back surgery so I still have pain and I would be lost without the capsules..as far as the gummies, I have to be careful because if I take them too early (8pm) I fall asleep during one of my shows! The Sleep gummies are the literal best! Talk about a great nights sleep and i wake up in a great mood now with the help of these. The cbd gummies are awesome! I am really enjoying the cbd oil at night for sleep. I've been using Hemp Bombs CBD oil for 2 months now. The 2000mg peppermint. I can say without hesitation it is effective for sleep. My sleep pattern had improved since starting on it. And it has a pleasant taste.